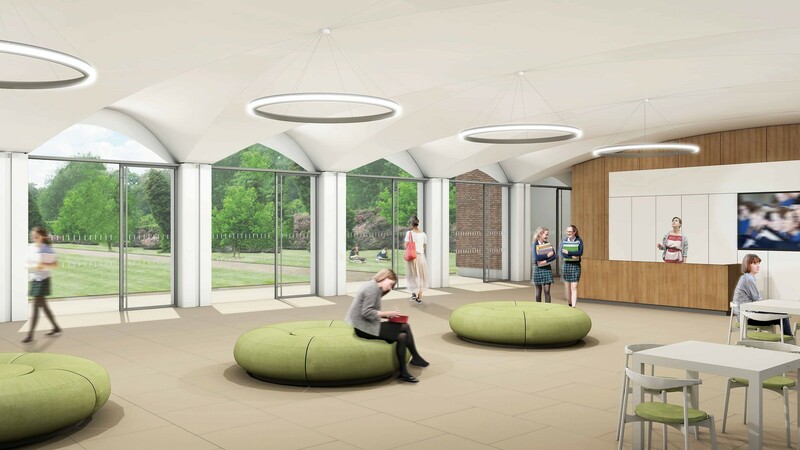 The proposal fuses pragmatic design considerations with poetic aspirations to create a new hall and music school, which can assume a central place in the life of Benenden and help to inspire generations of girls, staff, parents and visitors. 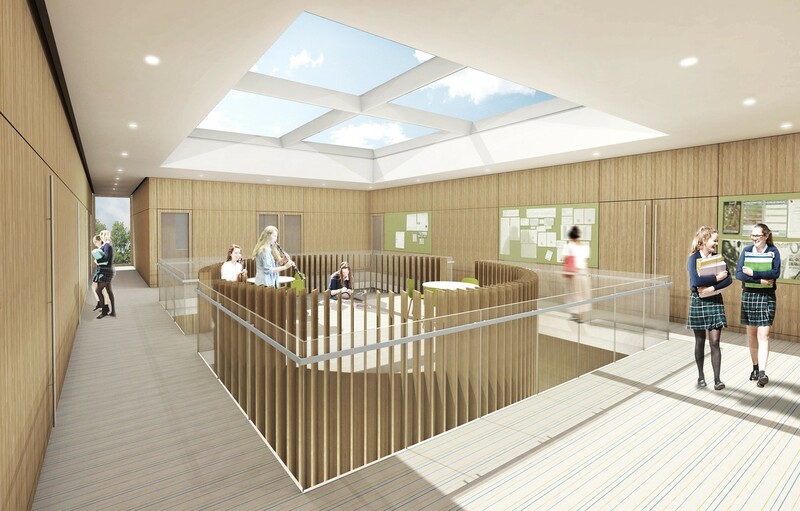 We have developed an exciting and timeless design which can settle into its context whilst simultaneously providing a focal point for school life. 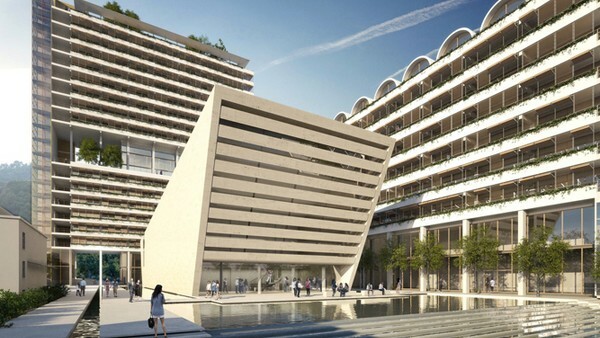 Our architecture responds to the heritage of the site, without imposing itself upon it. The new buildings celebrate contemporary craftsmanship in a sensitive and joyful manner and make best use of natural materials wherever possible. 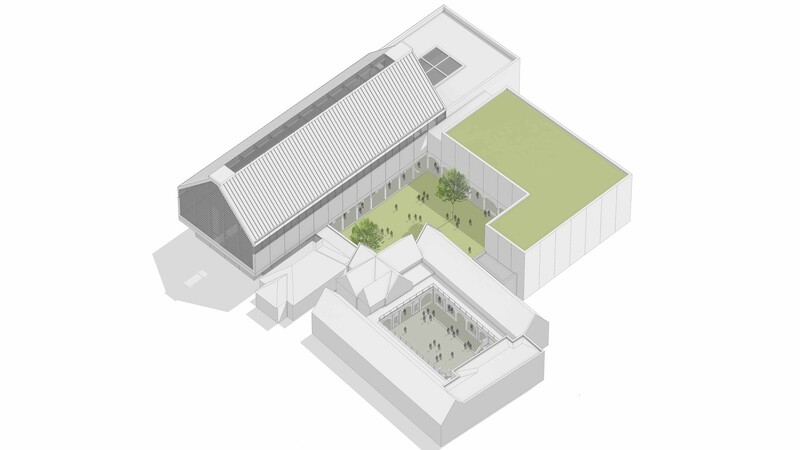 The scheme is arranged around a new cloistered garden, helping to link together the Hall, Music School, teaching block and the existing Chapel. A welcoming, glazed foyer at ground floor level, reinforces connections to the new cloisters and the elegant gardens to the South. The space can easily accommodate up to 300 people and be used as a meeting place for pupils or sixth form common room served by a café during the school day. Access to the raised main hall is arranged from this foyer. 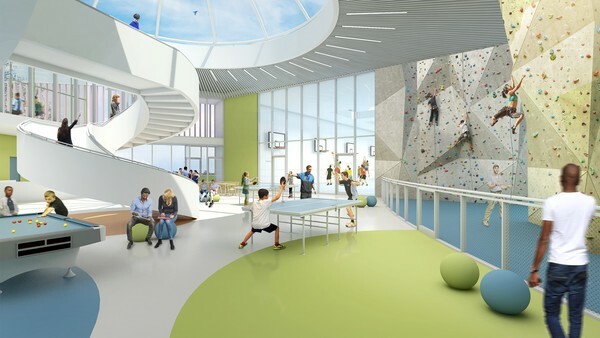 Elevation of the hall brings organizational benefits and the journey becomes symbolic - elevating pupils, staff and visitors above the hurly burly of daily school life. An upper foyer offers one final view along the lawns to the south of the school, before entering the hall. 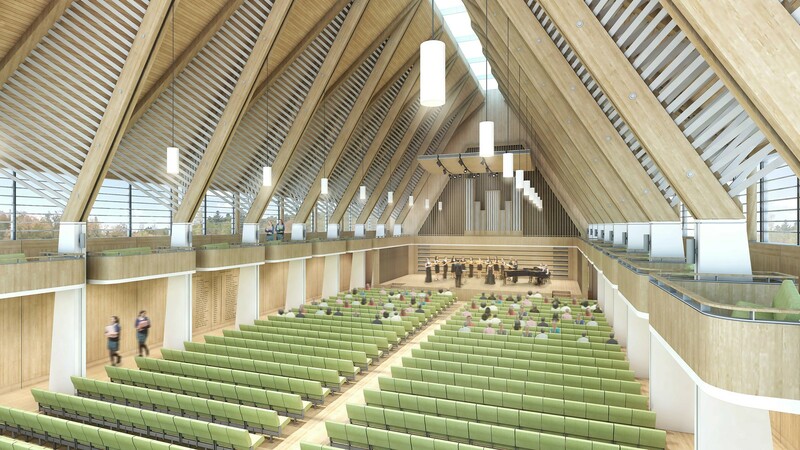 The hall is designed as an uplifting, light filled space, which embodies the character of excellence associated with the school. It is architecturally conceived with flexibility in mind to be equally comfortable as a place of devotion, as the venue for world-class musical performance or as a wedding hall. The acoustic design has been developed in harmony with the architecture to provide a perfect balance between clarity and reverberance, giving a sense of being enveloped by the music. 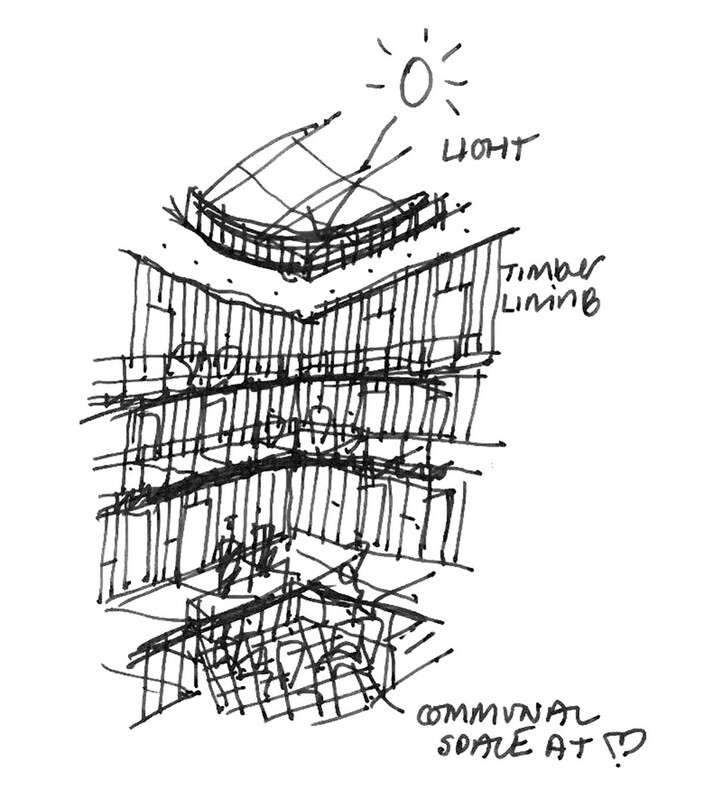 A welcoming and light-filled music school is arranged around a toplit atrium with practice rooms organised within a central timber clad cylinder. Teaching rooms, classrooms and office areas are arranged around the perimeter to take advantage of views and natural light. 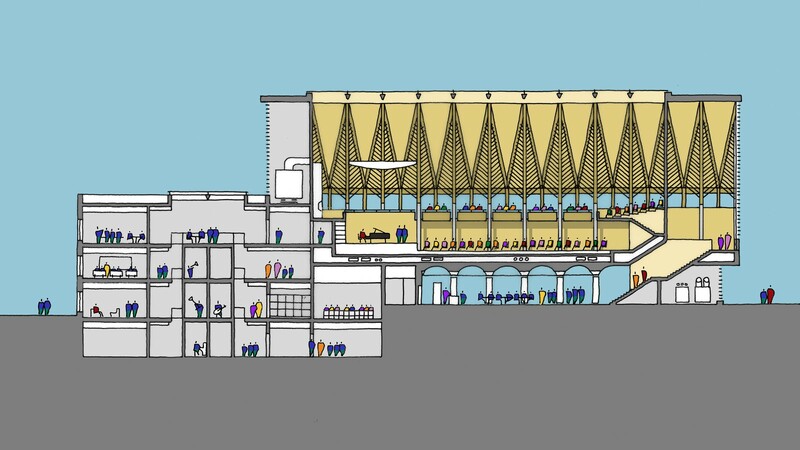 A service core with a giant lift and escape stair serves both the music school and the hall, linking the two at hall stage level and recital hall level. Ample instrument storage space is included on each floor. 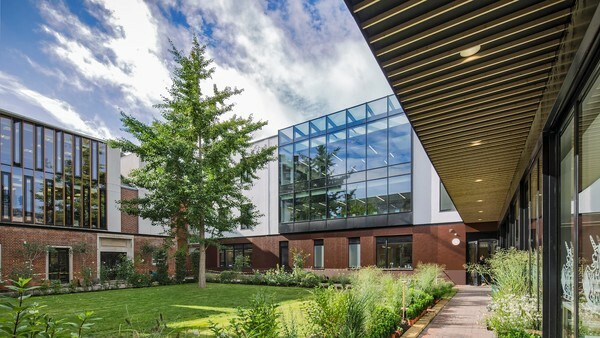 A teaching block arranged on four levels, completes the arrangement around the cloistered garden. 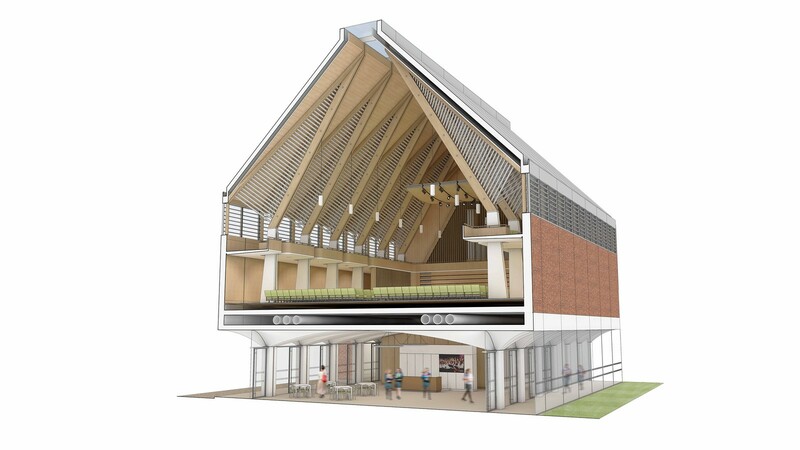 The design allows for a potential link between the music school and the teaching block.